The government has made it mandatory to link existing Aadhaar numbers with PAN of taxpayers with effect from July 1. Amending income tax rules and notifying the same, the government has made quoting of the 12-digit biometric Aadhaar or the enrolment ID a must at the time of application of permanent account number. Finance Minister Arun Jaitley through an amendment to tax proposals in the Finance Bill for 2017-18 had made Aadhaar mandatory for filing income tax returns and provided for linking of PAN with Aadhaar to check tax evasion through use of multiple PAN cards. 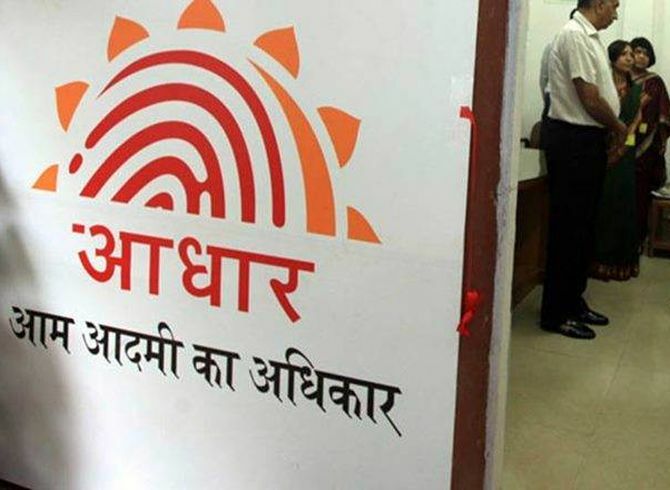 The revenue department said "every person who has been allotted PAN as on July 1, 2017, and who in accordance with the provisions of sub-section (2) of section 139AA is required to intimate his Aadhaar number, shall intimate his Aadhaar number to the principal director general of income tax (systems) or DGIT (systems)". Besides, it entrusted principal DGIT (systems) or DGIT (systems) with specifying the formats and standards along with procedure for verification of documents filed with PAN application or intimation of Aadhaar number. The rules will come into force from July 1, 2017, the revenue department said while amending Rule 114 of the I-T Act, which deals in application for allotment of PAN. As many as 2.07 crore taxpayers have already linked their Aadhaar with PAN. There are over 25 crore PAN card holders in the country while Aadhaar has been issued to 111 crore people. Earlier this month, the Supreme Court had upheld the validity of an I-T Act provision making Aadhaar mandatory for allotment of PAN cards and ITR filing, but had put a partial stay on its implementation till a Constitution bench addressed the issue of right to privacy. Pursuant to this, the Central Board of Direct Taxes had said the linking of Aadhaar and PAN will be a "must" for filing of income tax returns and obtaining PAN from July 1. While Aadhaar is a biometric authentication issued by the Unique Identification Authority of India, PAN is a 10-digit alphanumeric number alloted by the I-T department to individuals and entities.